Hiedi Lynn Shouse, age 47, of Franklin, Indiana passed away on Saturday, April 6, 2019 in I.U. Methodist Hospital. She was born on October 19, 1971 in Indianapolis to the late Peter and Barbara (Zumbaum) Hauser. Hiedi was a CNA for the past 19 years, most recently at Madison Health Care. She was a devoted wife and always put others first; most especially, her residents at work. 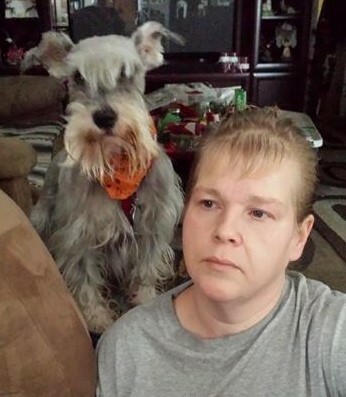 Heidi loved her miniture schnauzer, Buddy, and enjoyed camping and being outdoors. Survivors include her loving husband of 13 years, Toby L. Shouse; step-children, Meghan Schoonveld and Robert A. Shouse; and siblings, Pete Hauser, Kathy Hauser and April Doubek. She was preceded in death by her parents; and sister, Petra Hauser. Family and friends will gather on Saturday, April 13, 2019 from 1 to 3 p.m. in Lauck &Veldhof Funeral & Cremation Services with a celebration of her life service at 3 p.m. with Rev. Loral Tansy officiating. Cremation will follow services as per her wishes.